Boskalis is one of the world’s leading dredging and maritime service providers. 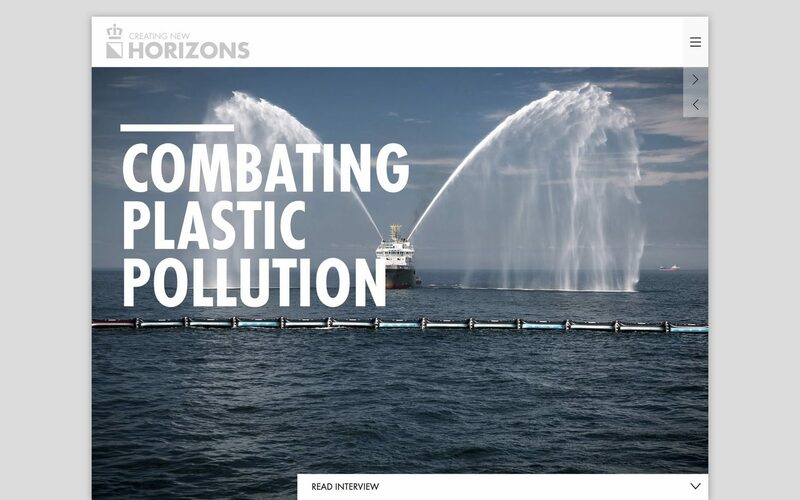 Seeking to share its impressive array of international projects with key stakeholders — clients, shareholders, suppliers, staff and press — Boskalis invited us to develop a magazine. 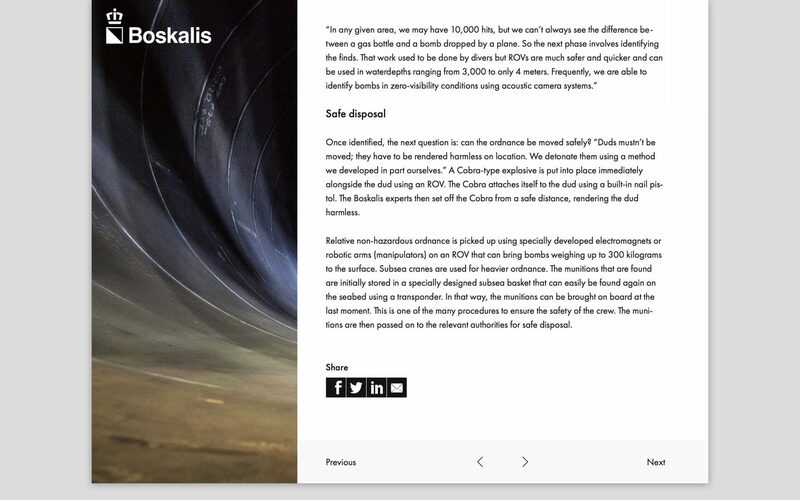 To be able to reach a broader group of stakeholders, we advised Boskalis to publish both an online and print edition. 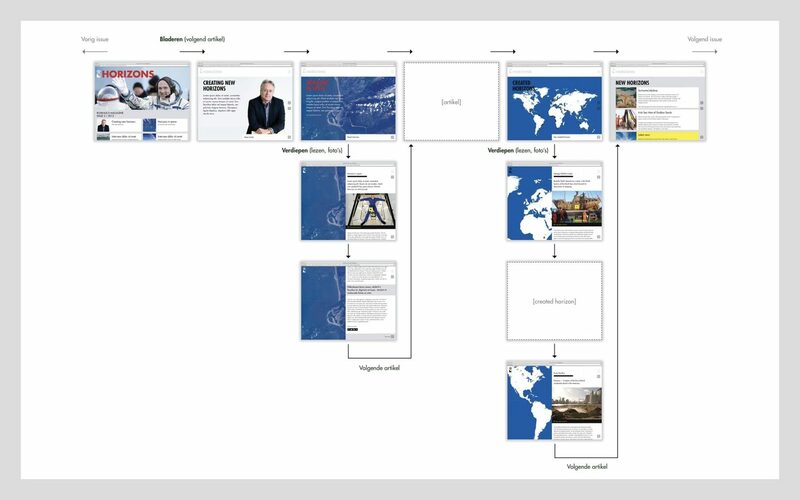 After early ideas to go for an article-based online version were discarded by Boskalis (publishing single articles instead of a whole magazine (bunch of articles) at once), a simple and easy to understand navigation concept for an online magazine was developed and approved. 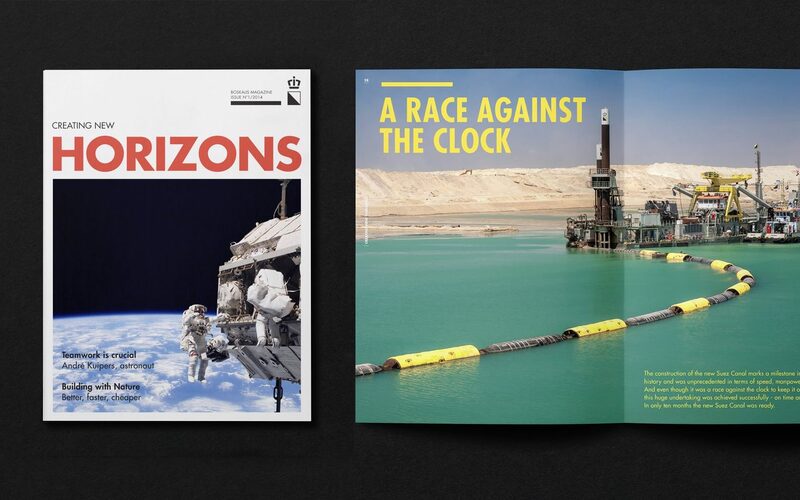 The visual design of the online magazine was based on and derived from the print version — both developed in parallel. 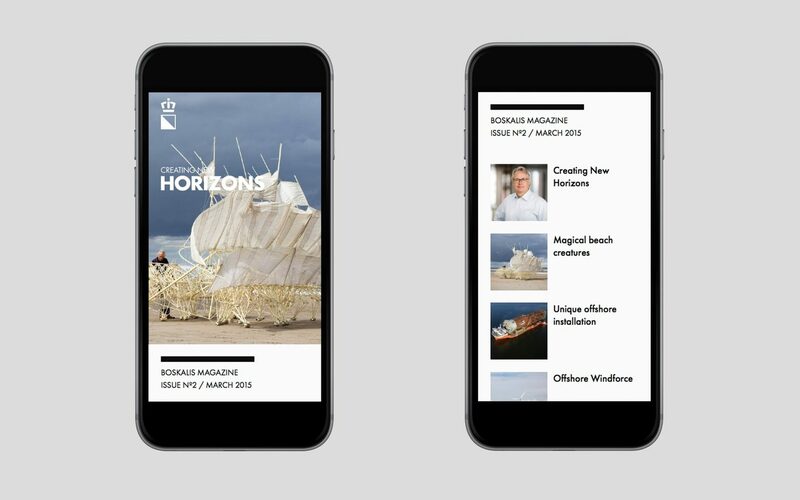 The number of unique visitors and average time spend on the digital magazine increases with every new edition published. The latest edition was published in January 2018. 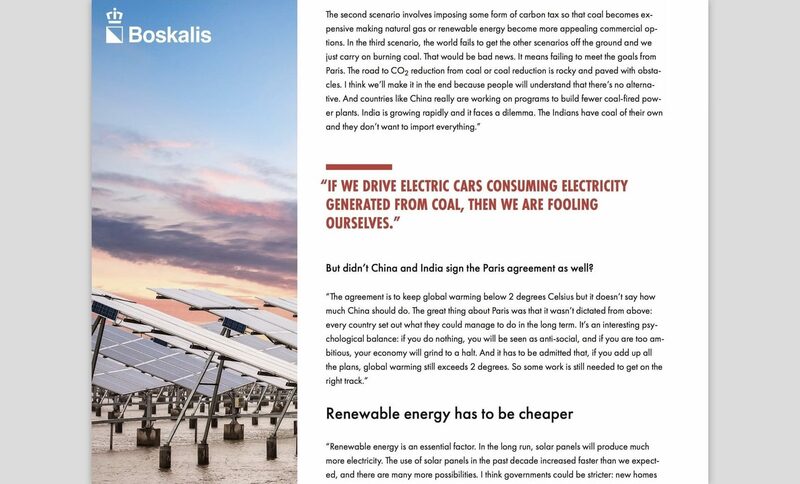 Being responsible for the realization of the digital version of the magazine, I worked closely together with a graphic designer, who developed the visual language of the paper version. 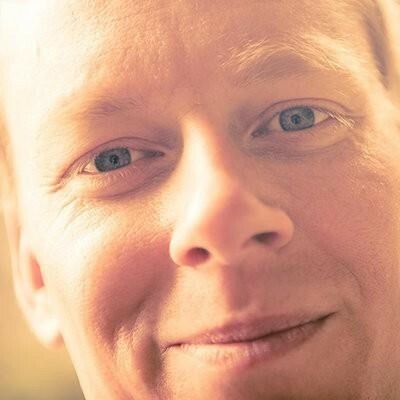 I worked together with a dedicated front-end develeoper on building the online magazine. 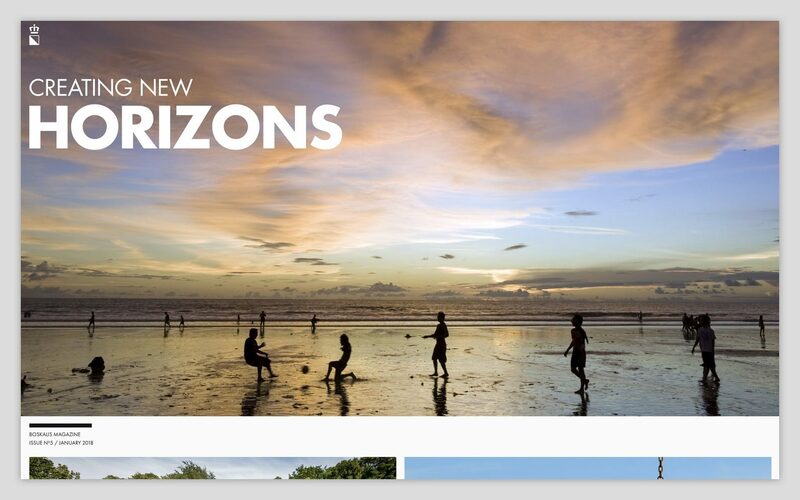 We made use of a small but flexible file-based CMS, and build a responsive and mobile optimized front-end on top of it. We coded our own responsive images plugin, and set up a file-based content workflow to easily edit and add new articles and editions. With every publication I was able to implement small UI and code improvements, while support for the latest browsers and newest devices was (and is) an ongoing effort.